The Army Junior Reserve Officer Training (JROTC) Program is a character and leader development program that changes the lives and direction of our youth. 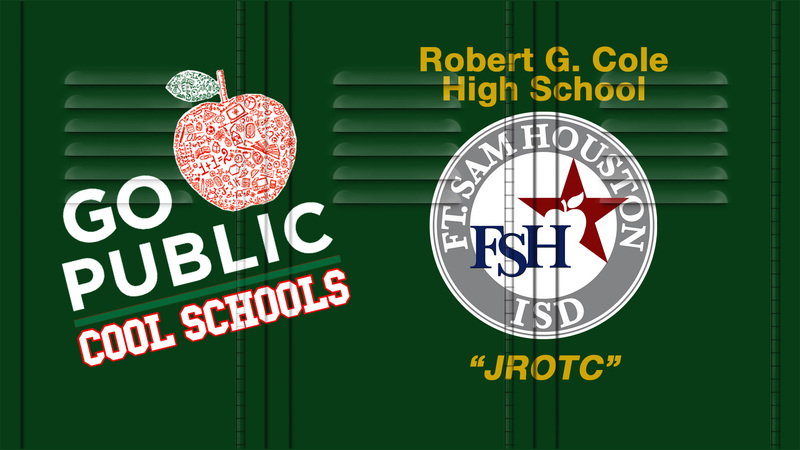 The Cole JROTC program prides itself on supporting the Fort Sam Houston and San Antonio community. Of the many activities, the program supports none is more meaningful than the corps participation in the Homeless Veteran Burial Program managed by the Bexar County Veteran Services Office. Deceased Bexar County Veterans who are homeless, indigent or have no family members to claim them are interred at Fort Sam Houston National Cemetery with full military honors. Representatives of the veteran’s branch of service, local veteran organizations and the Cole High School JROTC program work in concert to provide military honors at the funeral service. 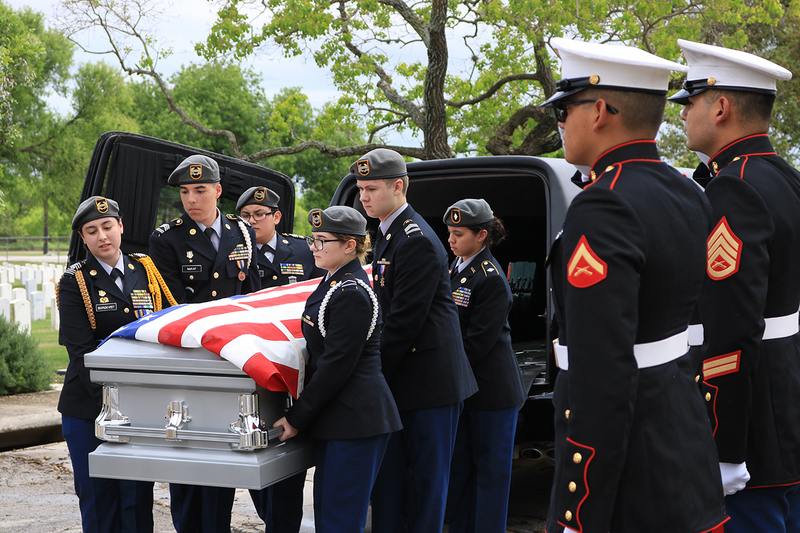 Members of the Cole Ceremonial Guard honors the veteran’s service by serving as pallbearers. In solemn military tribute, the ceremonial guard carries the veteran from the hearse to the cemetery shelter where others will give words of thanks and bid farewell. The children of military members, this is a moment of quiet reflection for Cole cadets. A moment where words such as duty, honor and country take on meaning and understanding that is not possible in a classroom setting. Cadets garner a greater appreciation for the service of not only their parents but the service of all veterans. The flag that drapes the veteran’s casket is folded with great care by members of the veteran’s branch of service. The flag is then presented to a representative of one of the supporting organizations, to include Cole cadets. Cadets who are recipients of the flag take it home as its custodian and enduring reminder of the true meaning of service. A nationally accredited curriculum, JROTC is unlike any other program available to high school age students today. Leadership, responsibility, critical thinking, respect, self-esteem, planning and goal setting are at the heart of the program.